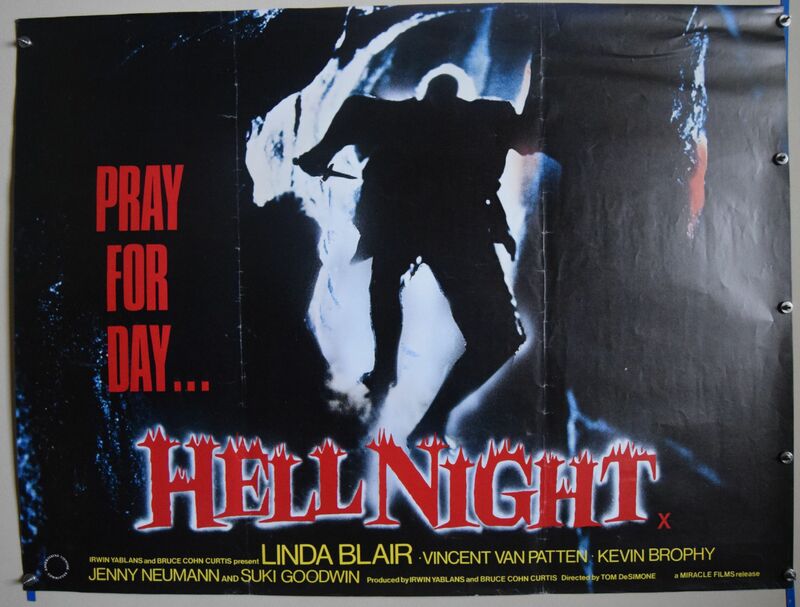 Hell Night (Compass International Pictures,1980) UK Quad Poster Size 30" x 40"
Four college pledges are forced to spend the night in a deserted old mansion, where they are stalked by the monstrous survivor of a family massacre years earlier. 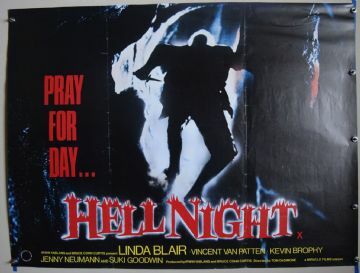 Starring Linda Blair and Vincent Van Patten. The poster has fold wear with creases around the folds. Displays nicely.